WASHINGTON, D.C. — The public comment period for a proposed set of ethanol volume requirements under the Renewable Fuel Standard (RFS) closed July 27. About 50,000 people reportedly submitted comments during the six-week public process. Officials from the Environmental Protection Agency (EPA) will review the comments before issuing a final ruling on RFS volume requirements for 2014, 2015 and 2016. EPA officials published its proposal to set RFS volume requirements on June 10. The agency’s final rule on the matter, which is expected within coming weeks, would dictate what ethanol-blended fuels are available to recreational boaters. Per the final rule proposal, the EPA seeks to mandate the gasoline supply include 36 billion of blended renewable fuel by 2022. 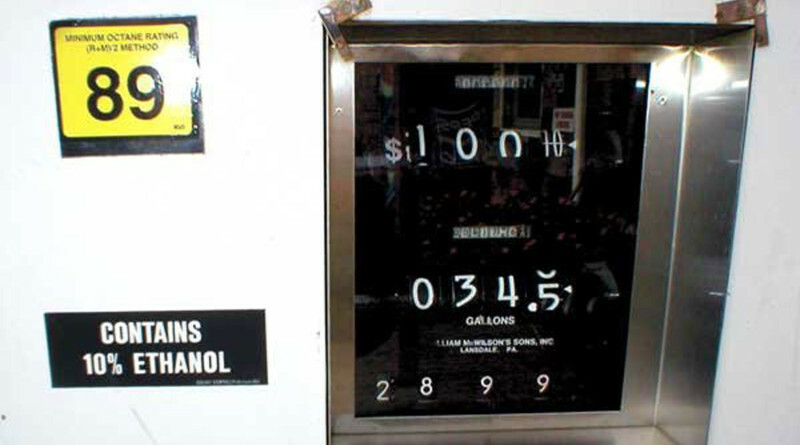 Boating advocacy groups have campaigned all year to limit ethanol fuel blends to E10, or gasoline containing 10 percent of the corn-based derivative. Some gas stations have reportedly offered E15 fuel blends, which, according to advocacy groups, is harmful to marine engines. Specifically, groups such as American Petroleum Institute (API) and National Marine Manufacturers Association (NMMA) urged federal leaders to ease government mandates of ethanol-blended fuels and instead heed an increasing demand for non-ethanol gasoline. “Multiple reports show that ethanol blends greater than 10 percent cause significant damage to marine engines,” NMMA officials stated in June, citing a 2011 Volvo emissions and durability test and National Renewable Energy Laboratory (NREL) study. NMMA officials announced in June the organization endorsed biobutanol as an industry-wide biofuel. David Hilbert of Mercury Marine spent one year studying the impacts of E15 (15 percent ethanol) fuel blends on outboard four-stroke and conventional two-stroke engines from June 16, 2010 to June 30, 2011 for NREL and the Department of Energy. His study found outboard four-stroke engines with E15 intermittently misfired and showed signs of deterioration compared to engines without ethanol-blended gasoline. Rod bearings in a two-stroke engine with E15 fuel failed at 256 hours of endurance, a little short of completing Hilbert’s 300-hour durability study. Multiple news reports stated farmers, corn growers and alternate biofuels advocates testified at a June 25 hearing on EPA’s proposed rulemaking for the 2014 to 2016 RFS in Kansas City, Kansas. The National Corn Growers Association, which organized a 450-person rally at the EPA June 25 hearing, stated the agency’s current proposal would cut about 4 billion gallons of ethanol, or about 1.5 billion bushels of corn demand, would be cut from the RFS through 2016. EPA administrator Gina McCarthy spoke with the National Corn Growers Association about three weeks after the EPA hearing in Kansas City, Kansas and said the intent of the RFS is to increase reliance of blended fuels. Jerry Martin, a senior scientist with the Union of Concerned Scientists, said the EPA should initiate another rulemaking process to establish a roadmap for RFS policy beyond 2016. He added corn ethanol is one of two issues impairing progress toward cleaner fuels and renewable alternatives. “Two specific changes are turning out to be especially complicated: Moving beyond corn ethanol to more diverse sources of cleaner, advanced biofuels that don’t stress food supplies, and changing how biofuels are used, from low level blends with gasoline … to different biofuels and higher blends of ethanol,” Martin said, adding the EPA took a positive step forward with its current RFS proposal despite it upsetting farmers and corn growers. Final action on the EPA proposal will be taken by Nov. 30, 2015. Congress enacted the RFS, according to the EPA, in an attempt to reduce greenhouse gas emissions and promote renewable fuels. “Biofuels are an important component in the Administration’s efforts to enhance energy security and address climate change,” the EPA stated in a regulatory announcement published in May.